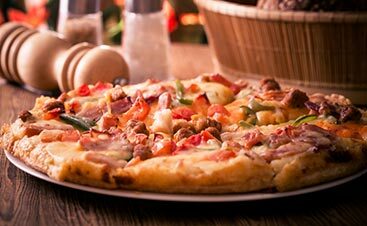 There aren’t many downsides to pizza, but there is one that makes it hard for allergy-prone people to enjoy a delicious slice. Gluten. One word is all it takes to make pizza inedible to those with celiac disease. The cause of the disease is unknown, but symptoms include stomach troubles, weight loss, fatigue, and weakness. Treating celiac disease comes down to the right diet, specifically avoiding wheat, barley, rye, oats, and beers. So what do you do if crave pizza but can’t eat it? One option is to simply scrape off the toppings, but what’s the fun in that? 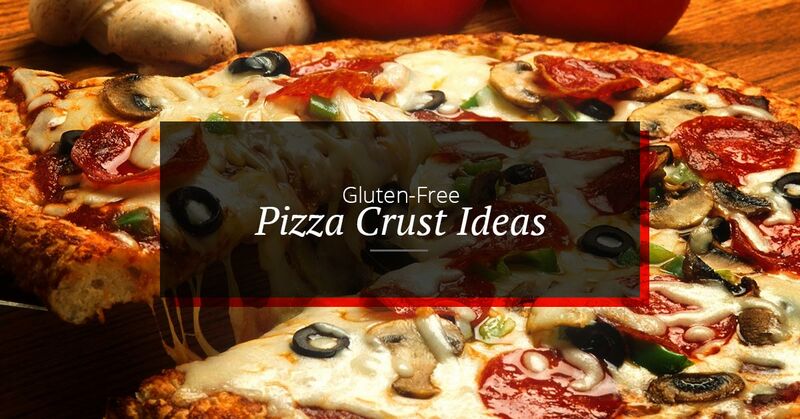 A more practical option is to choose a type of crust that is made of non-gluten ingredients. So what are the best? Easy to make at home, corn tortilla pizzas are a quick fix to pizza cravings. Lightly fry the tortilla in a pan for a perfect crisp and then switch it over to the oven to brown both sides. Once you have the base complete, you can add whatever ingredients you want! To keep with the Mexican theme, spread refried beans onto the tortilla, sprinkle some cheese, and a few olives to make a tostada-like pizza. Or keep it classy with a tomato sauce, sausage, and mozzarella. The wonders of this vegetable are beginning to show and even those who don’t have celiac disease will love this crust. Use a food processor to puree about half a head of cauliflower and then microwave it for about five minutes. The key is a crispy and delicious crust is removing the moisture with a dish towel. Bake the crust by itself, cook your favorite toppings separately, combine, and no one would ever know it’s a vegetable pizza. Try Hawaiian toppings for a real treat. For a meaty and earthy pizza without a trace of gluten, portobello mushrooms are the perfect alternative to wheat crusts. Simply remove the ribbing on the underside of the mushroom and sprinkle some olive oil onto both sides. For a smoky flavor, cook the mushroom on the grill, but it can also be cooked on the stovetop as well. 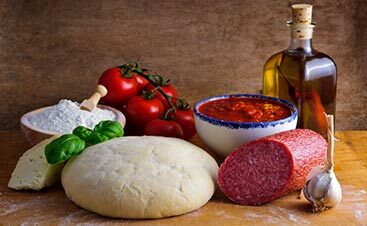 Pick a marinara sauce that is full of tomato goodness, has a rich herby flavor, layer on a few slices of spicy pepperoni, a few sprigs of basil, pour yourself a glass of wine, and bite into your delicious pizza. Almost quiche-like, this savory pizza crust is completely satisfying. The carrot crust is made using the same process as the cauliflower crust, but with a few additions. Create the crust by mixing in a couple of eggs, coconut flour, butter, a few seasonings, and bake! Again, bake the crust separately and then add your favorite toppings to customize your own delicious pie. Try layering on some provolone cheese and spicy sausage. 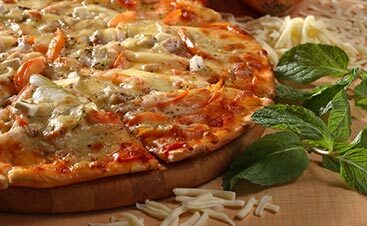 If you want pizza, but your stomach won’t let you eat the standard wheat flour crust, don’t give up! There are plenty of alternatives that will satisfy your deepest pizza cravings. 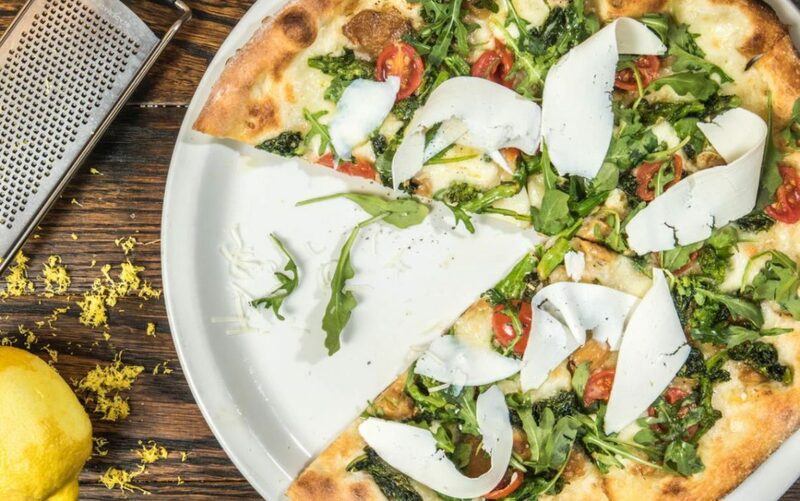 While Upper Crust doesn’t have carrot or mushroom crust pizzas, we can serve up a delicious gluten-free pizza that you won’t be disappointed in. Give it a try tonight!